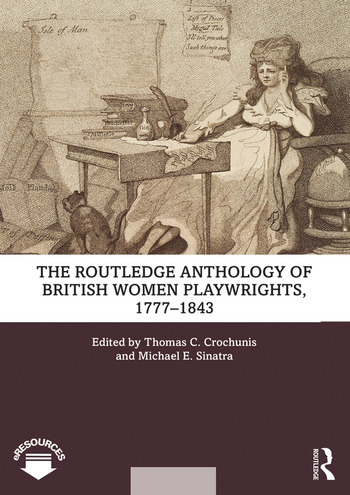 The Routledge Anthology of British Women Playwrights, 1777-1843 brings together ten eclectic plays by female dramatists and writers, to stimulate a rich discussion of women, writing, and theatre history. Ranging through tragedy, comedy, musical theatre and mixed-genre texts, this volume celebrates the breadth and experimental spirit of eighteenth- and nineteenth-century dramatic writing. Each play is accompanied by an introductory essay that addresses its sociopolitical and theatrical contexts, and outlines its performance and reception history. The selections included here invite teachers and their students to study particular works by authors of note, but also to consider the differences between works written for page and stage. While many of the plays are recognizable as published dramas, they have been placed alongside textual artifacts that suggest plays or theatrical events of which no definitive record exists, as well as supplementary materials that invite teachers to engage their students in exploring women's dramatic writing in this era. Organised in chronological order, The Routledge Anthology of British Women Playwrights, 1777-1843 traces a history of women's writing across genres and styles, offering an invaluable resource to students and teachers alike. Thomas C. Crochunis is Associate Professor of English at Shippensburg University, USA. He is cofounder of the online project "British Women Playwrights around 1800" and edited the collection Joanna Baillie, Romantic Dramatist: Critical Essays (2004). He has published work on gothic drama, women playwrights and theatre managers, the teaching of women’s playwriting history, and digital humanities scholarship. Michael E. Sinatra is Professor of English at the Université de Montréal. Sinatra is the founding director of the DH Center CRIHN, an associated fellow of the Canada Research Chair in Digital Textualities, the co-director of Nines, and the co-general editor of the series Parcours numériques. He co-edited (with Tim Fulford) The Regency Revisited (2016) in which he also published his essay, "‘Senators and actors’: Leigh Hunt’s Theatrical Criticism and the Regency."